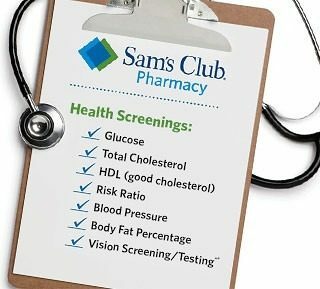 FREE Health Screenings At Sam's Club (2/14 Only)! You are here: Home / FREEbies / FREE Health Screenings At Sam’s Club (2/14 Only)! FREE Health Screenings At Sam’s Club (2/14 Only)! Get a health check for FREE tomorrow! There are FREE Health Screenings at Sam’s Club going on tomorrow, valued at up to $150 worth of healthcare! The health screenings will be offered from 11 a.m.-3 p.m. You can check out a schedule of upcoming Health Screenings here!